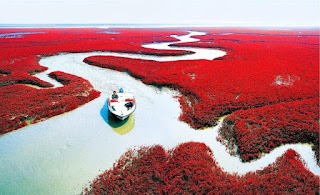 In this edition I will show you another beautiful destination in China that is Red Beach in Panjin, China. 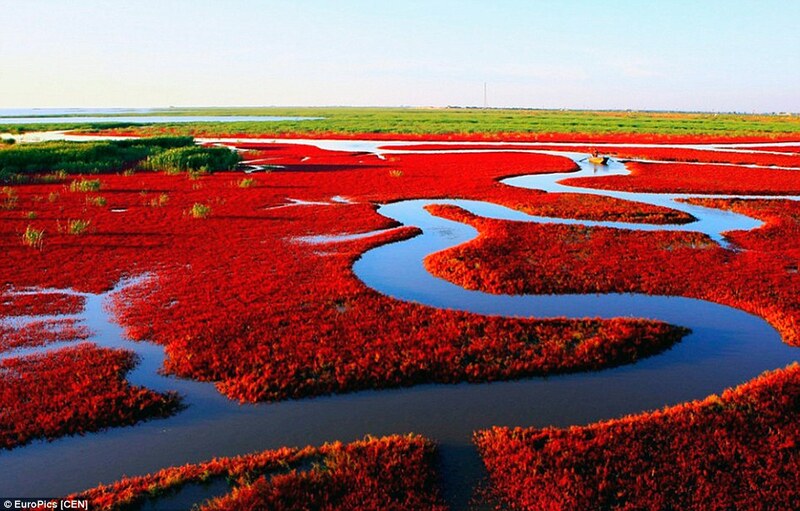 Red Beach located in Dawa County, Panjin, Liaoning, China, is famous for its landscape featuring the red plant of Suaeda salsa of the Chenopodiaceae family. It is based in the biggest wetland and reed marsh in the world. 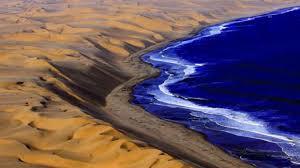 The landscape is composed of shallow seas and tide-lands. 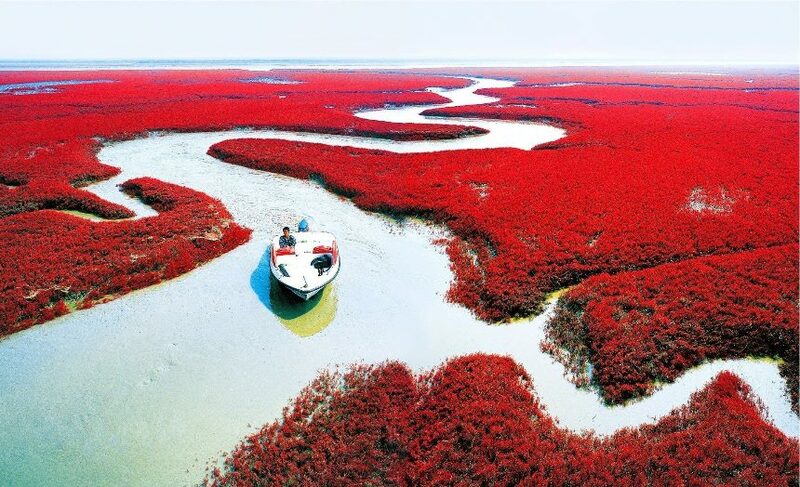 This beach in Panjin, China is unlike any other beach you will visit in the world. 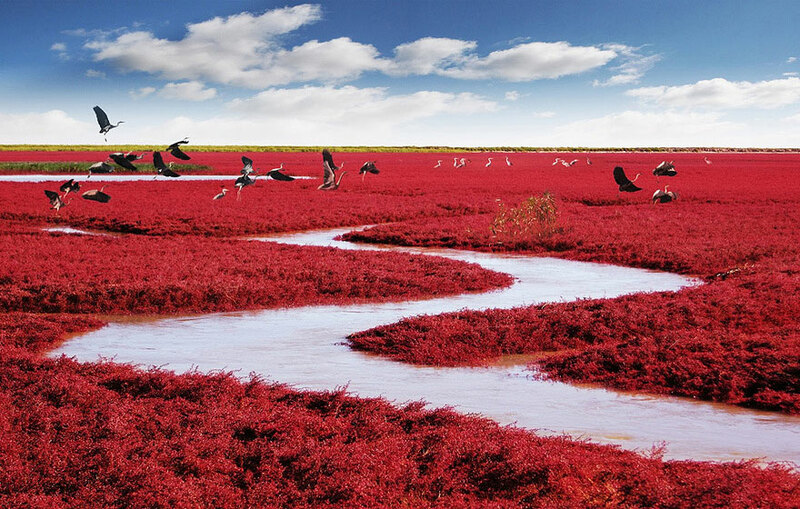 Rather than containing sand, Red Beach is covered in Sueda, a type of seaweed which starts growing during April and May, stays green during the summer, then starts turning vividly red in autumn to produce the magical landscape featured above. The Red Beach has been attracted thousands of photographers there. 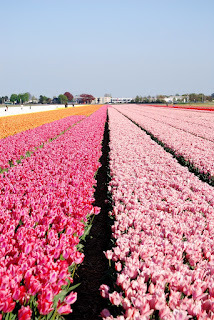 So, please go there and enjoy it … !! !